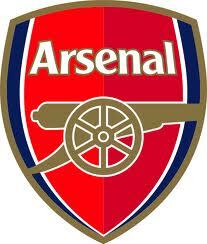 Premier League Preview for Arsenal v Norwich along with Predictions for the matches on week 33 of the EPL. Follow up each match with results and video highlights posted later in the week. You can also check out the weekly EPL TV Schedule. Arsenal have been on a roll in the EPL lately, with the exception of the loss to Tottenham. Norwich has been doing just enough to limp towards the middle of the Premier League Table. Arsenal should have both Jack Wilshire and Theo Walcott back in time for Saturday morning’s match while Norwich will most likely be without Mark Bunn, but with the possibility of having John Ruddy return in goal. I have a hard time seeing Norwich get anything out of this, and certainly not any more than a draw. Their away form this season is horrendous going 1-7-8 and allowing 33 goals. Compare this with Arsenal’s 9-3-3 at home and it looks rather bleak for the Canaries. My prediction is for an Arsenal win, which I would pick to come in the second half most likely. They will probably dominate throughout the match and eventually wear down the Norwich defense. Norwich did play well against Swansea and managed two goals, but they are coming up against a very determined Gunners side.